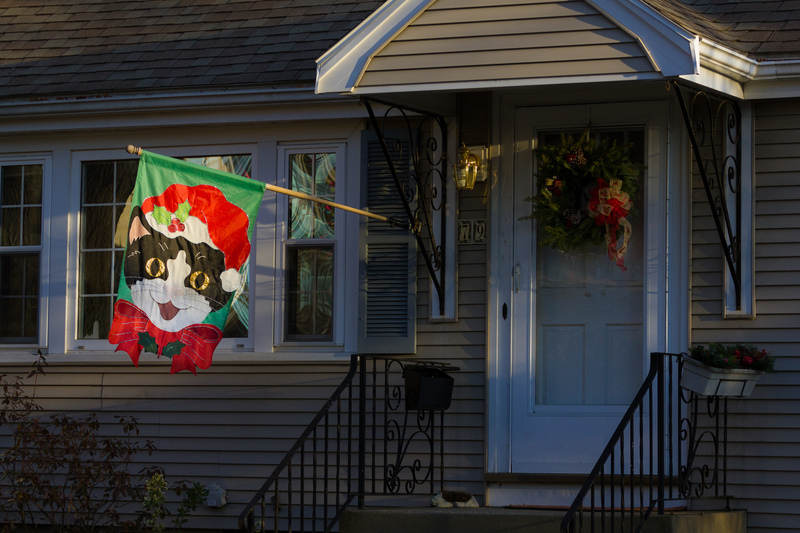 A feline themed Christmas flag outside a Charles Street home. 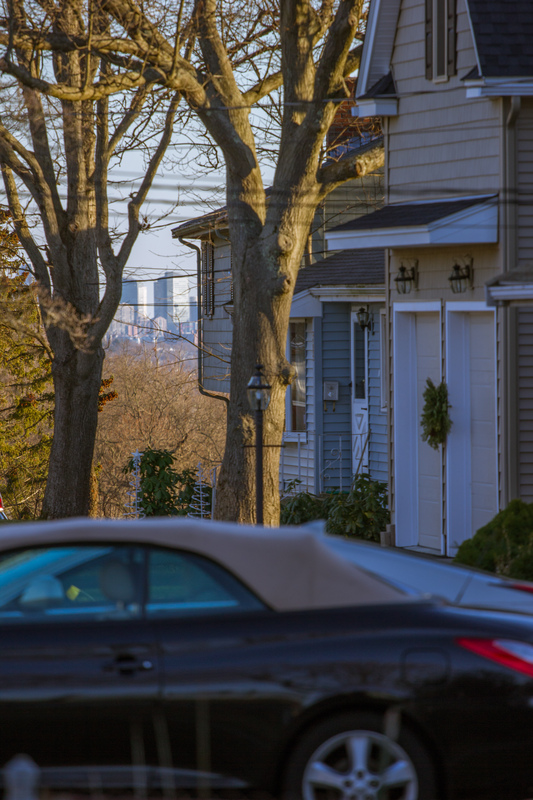 The buildings of Boston can be seen in the distance in this view down Epping Street. 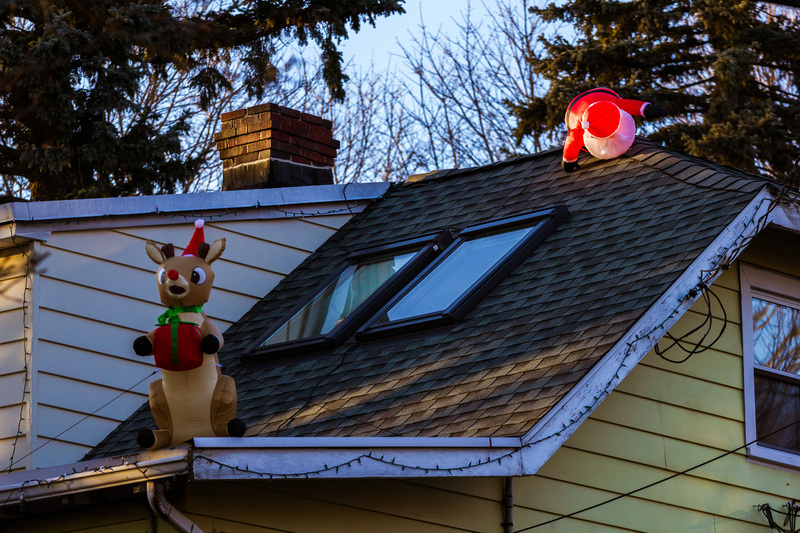 Possibly rushing due to lateness caused Santa to trip on the roof of a Washington Street home. 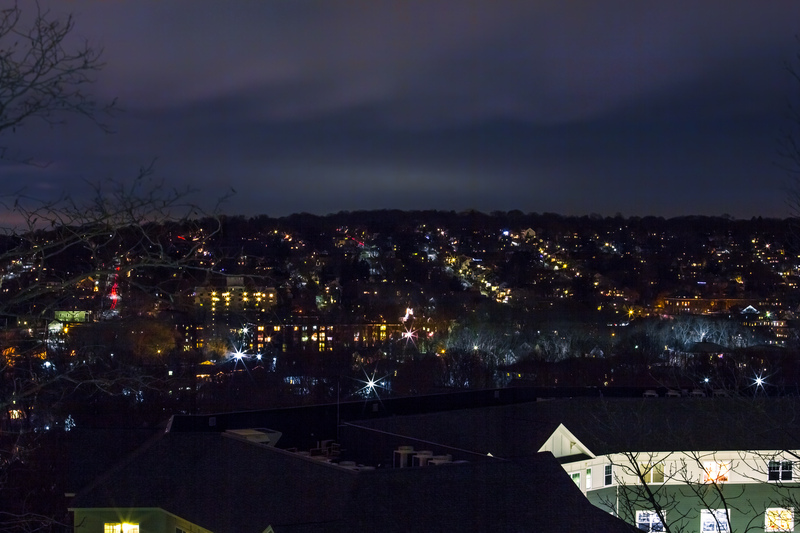 A southwesterly view from Hattie Symmes Park at Arlington 360 shows an Arlington hill striped with homes and streetlights. 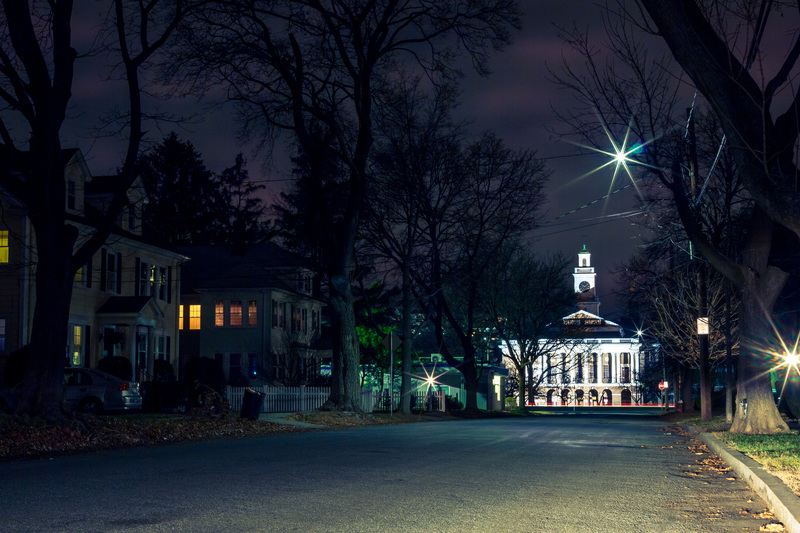 Arlington High School as seen down Churchill Avenue. 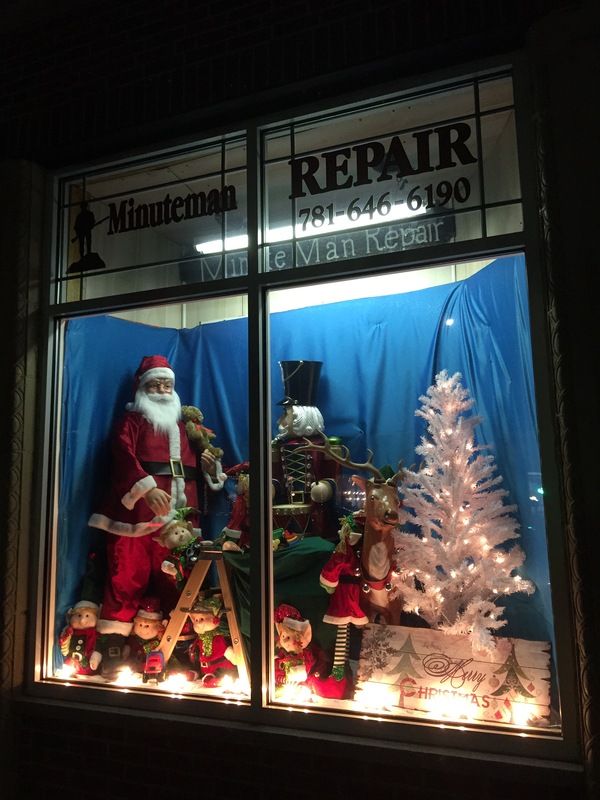 A festive Christmas display in the oft changed front window of the Minuteman Repair shop in East Arlington.